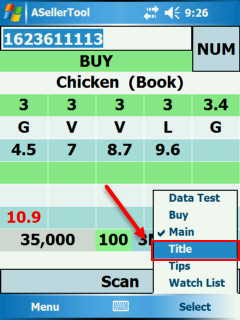 For old books that do not have ISBN barcode, you can perform title search by tapping Select ->Title. *Please make sure you have already downloaded data with the title search information included before using Title Search. Tap the keyboard symbol at the bottom center of the screen to enter the title. Our program will start to search when you tap the ‘Space Bar’ after each word. The returned candidate list will be refined after each additional word entered and the Space Bar is pressed. Use vertical scroll bar to go through the candidate list. You can also use the horizontal scroll bar to go view the rest of a long title. If you want to clear your current search and start anew, press the ‘Clear’ button on the top right hand side to clear the title search box. To return to the Main Screen, tap a title that appears, or tap ‘Select’ on the bottom right hand side, followed by ‘Main’. 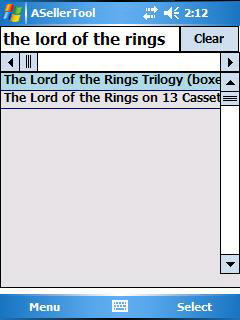 In various parts of the program, you may need to enter text and/or numbers into certain fields. 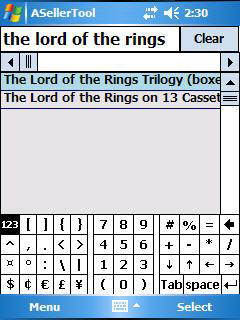 In order to do this, you can use the Virtual Keyboard that is included in the Windows Mobile Operating System. To activate the keyboard, tap the ‘Virtual Keyboard Button’ with your stylus, then tap the letters and numbers you wish to enter into the text box. You may have to tap the text box you wish to input in first, so a blinking cursor appears in that field. Some configurations may have numbers running across the top of the Virtual Keyboard. 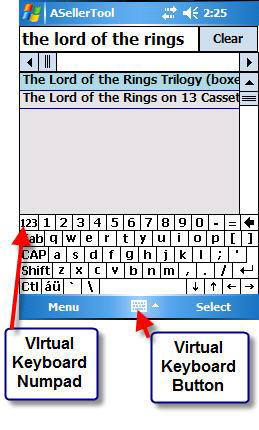 If you wish to enter the numbers from a different format, you can go to the Virtual Keyboard Numpad by pressing the ‘123’ button on the virtual keyboard. To return to the normal keyboard, simply press the ‘123’ button again.